A new generation software that allows you to include all your data in only one database. Created to organize, fasten and optimize your scouting activity. This web app is meant for professionals and amateurs of this sector. This is a new generation software that allows you to include all your data in only one database. 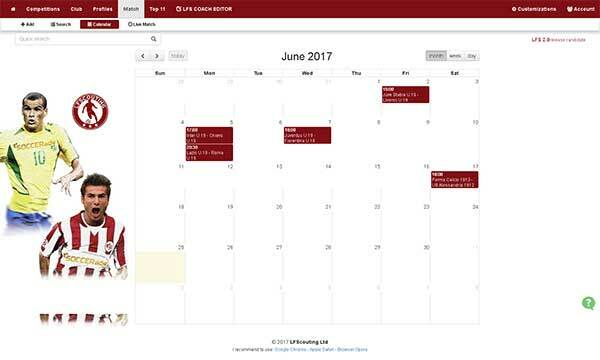 Created to organize, quicken and optimize your scouting activity. This web application is meant for both professionals and amateurs. 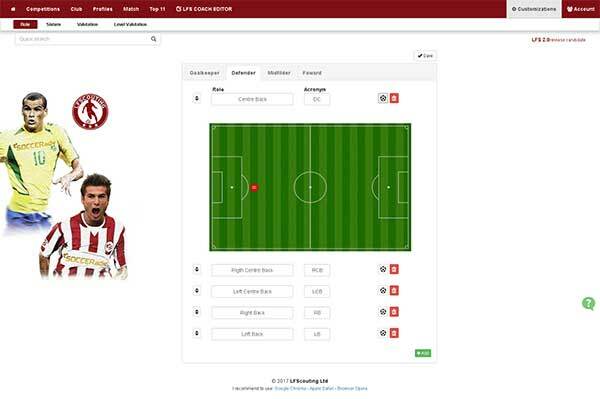 The application allows you to optimize the analysis of the football players under consideration , whether registered with a team or not In case of network failure, the data will be updated at the first available internet signal. The data entered can be looked over at any moment by the single scout or by more people within the same working group. No need to run to find team information and information on individual football players , no flying paper, the passage from the itemized list to the application is very fast. You can build and look over your archive quickly thanks to a search by parameters. 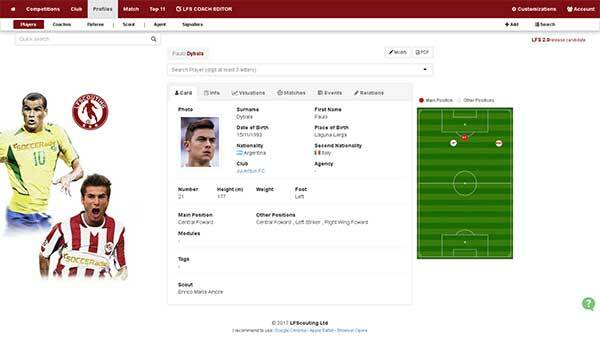 Football players can be searched by height, weight, age, rating, nationality, role, position. Say Goodbye to paper and pen. Ratings of any football player can be easily noted down as well as all the events taking place within a competition, such as bookings (cautions) , sendings off, substitutions and goals. No more faxes or copying of notes, everything is shared as soon as the competition is over. The web app can be accessed based on the settings defined by the main user ,who is in charge of permissions and data flows. Data can be classified starting from competitions up to the characteristics of single football players , such as age, weight, nationality. 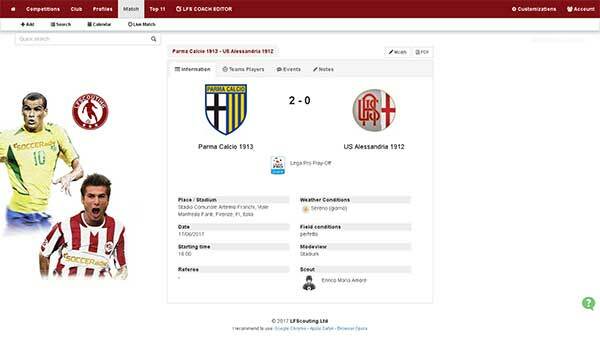 The soccer player data can be linked to each game and vice versa. The sharing feature will allow you to assign a competition to each talent scout or the talent s(he) wishes to follow. The use of the calendar, especially for the work groups, it will give them the idea of being part of a team, of being up to date and will help generate interest in each other’s work. The application has a user-friendly interface and it enables you to manage the whole system also with a simple tablet through a touch screen system, and this, besides guaranteeing an easy access to functions, allows the user to be mobile. Moreover, through the use of the advanced dragging function, you can move the players in the soccer field. To insert the lineups is easy because you have access to a source of football players which is always updated. Selecting players, placing them in the field , writing down a note on single football player, adding notes on the team , it makes the job of the talent scout easier. The updating of data is always made by the timer which is always synchronized with the time of the match.